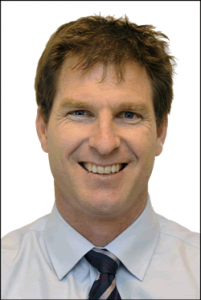 Doctor Thomas Eade has been leading radiation therapy treatments at Northern Sydney Cancer Care Centre since 2007. He brings this level of experience to his Gosford and Central Coast Prostate Cancer Patients at the newly opened Gosford Cancer Care Centre. Prior to his clinics at Gosford Cancer Care Centre and Northern Sydney Cancer Care Centre Dr Eade completed his fellowship at the USA leader in prostate cancer treatment, Fox Chase Cancer Centre in Philadelphia U.S.A. Here he gained expertise in advanced prostate cancer treatment techniques. With these innovative and advanced skills Dr Eade brings an honest and strongly evidenced based approach to his patient’s prostate cancer treatment. This allows his patients the best chance for higher cure rates whilst minimising the risk of unwanted treatment related side effects.